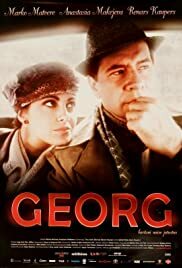 A movie about the life of legendary Estonian singer Georg Ots. A fake historic epic on the Middle Ages and Estonia's not-so-glorious past. Stars: Märt Avandi, Ursula Ratasepp, Hendrik Toompere Sr. This movie is about the Estonian War of Independence (1918-1920), specifically the students fighting on the nationalist side, but also shown the conflict between two ideologies (Estonian nationalism and communism).